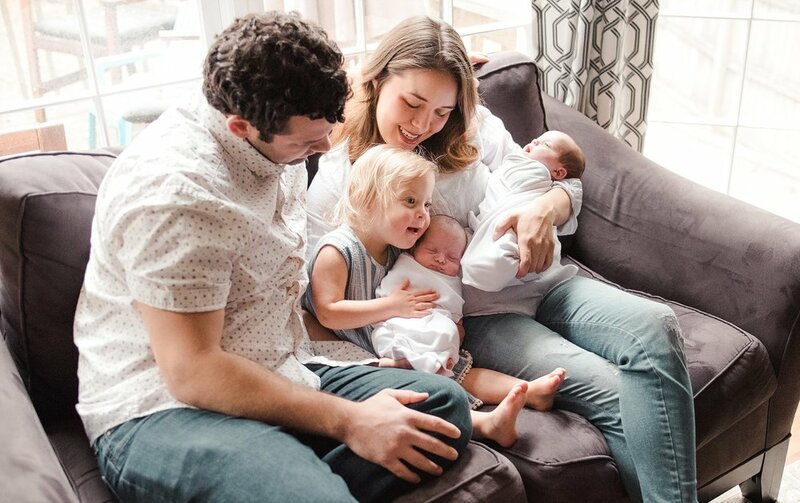 Not only did I get the opportunity to capture this family's Fresh 48, but I also got to see these two sweet babies once they made their way home! I get asked sometimes which session is better a Fresh 48 in the hospital or a Lifestyle Session at home? To be honest, I can't pick which one I love more. I think that they both bring something unique and equally as beautiful to the picture. 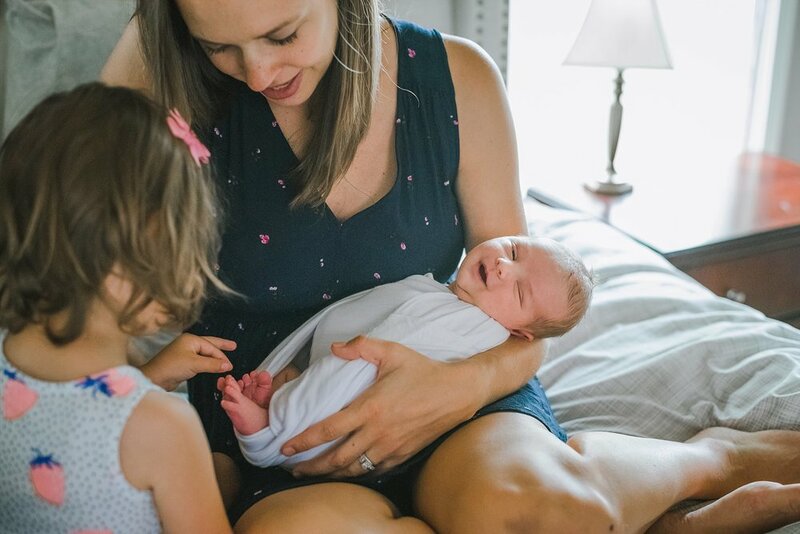 At a Fresh 48 Newborn Session, such as the one I did for this family, I was able to capture the exciting moment that big sister met her sisters for the very first time. That, my friends, is not something you get to re-enact! Those first days in the hospital are also such a blur with people coming in and out constantly, plus there's a big chance you haven't slept in a few days, it's all a blur after a while. 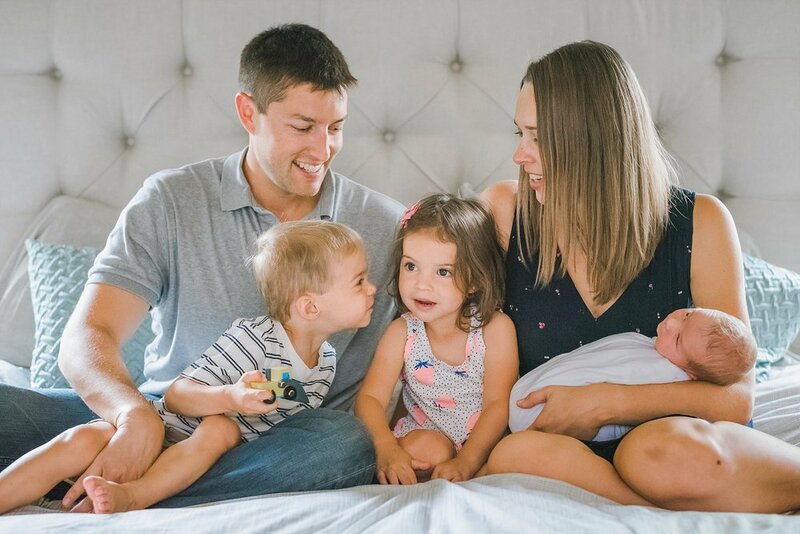 Having Fresh 48 photos done helps you remember those first days. How little your baby was, how you felt the first time you saw them, how quickly you fell in love with them. 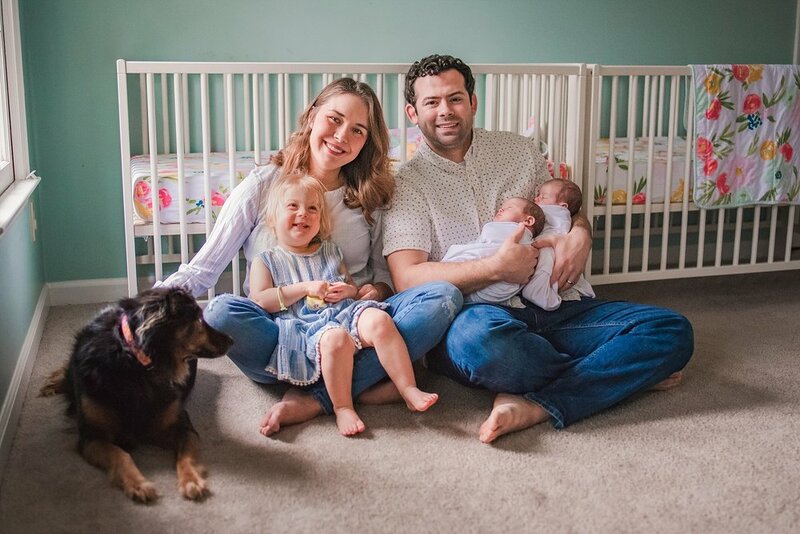 At a Lifestyle Newborn Session we do still capture the newness, and the connection, but we get to capture it in the place you call home, your people, in your place, surrounded by what makes you a family. 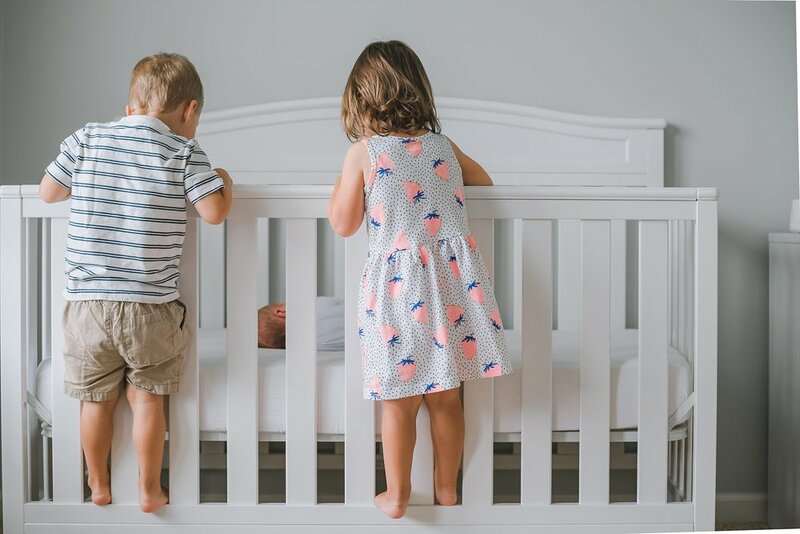 There's more time to capture those sweet sibling photos, and I get to document that nursery you spent so much time preparing. 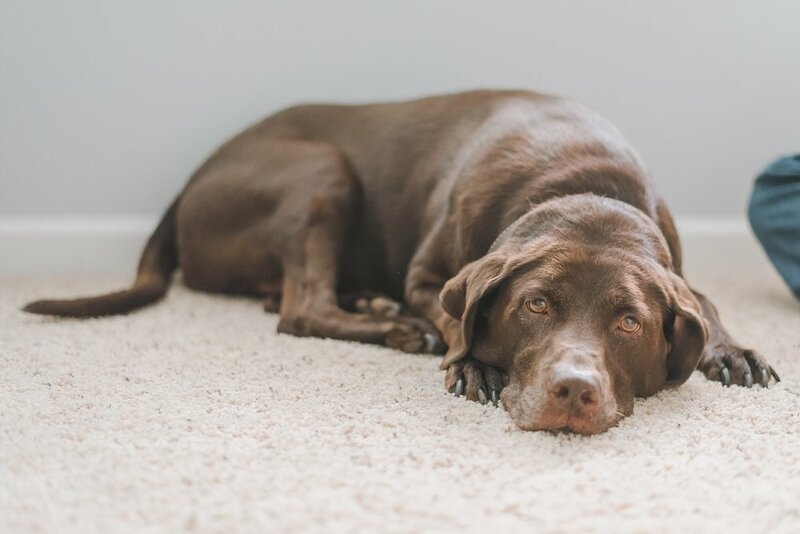 I guess you could say there is a little more personality infused in this session. Both sessions are important, and if you can swing it, I urge you to book both. I do offer a special when you book both sessions. 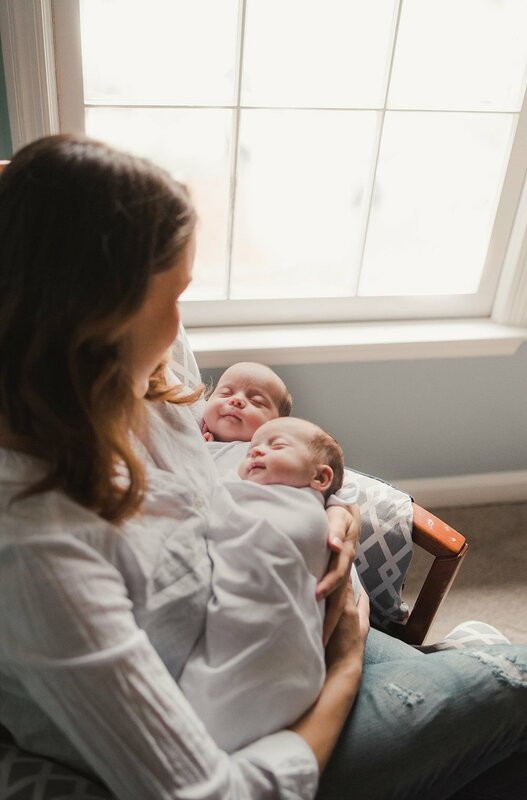 I will typically wait until your baby is 4 weeks to do a lifestyle newborn session if we also did a Fresh 48 so you get to see how much they have changed in just a mere 4 weeks. Hang on mama, because the growing and changing, it doesn't slow down! Give yourself something beautiful to hold on to these days that pass by so quickly. 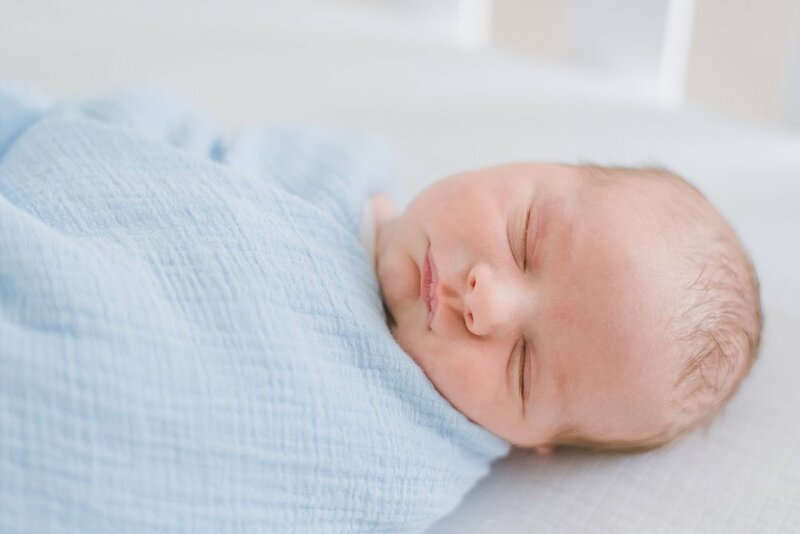 If you are expecting and want to discuss which newborn package might be right for you, please contact me using the button below, or e-mailing me at hello@adriennelouisephotography.com. 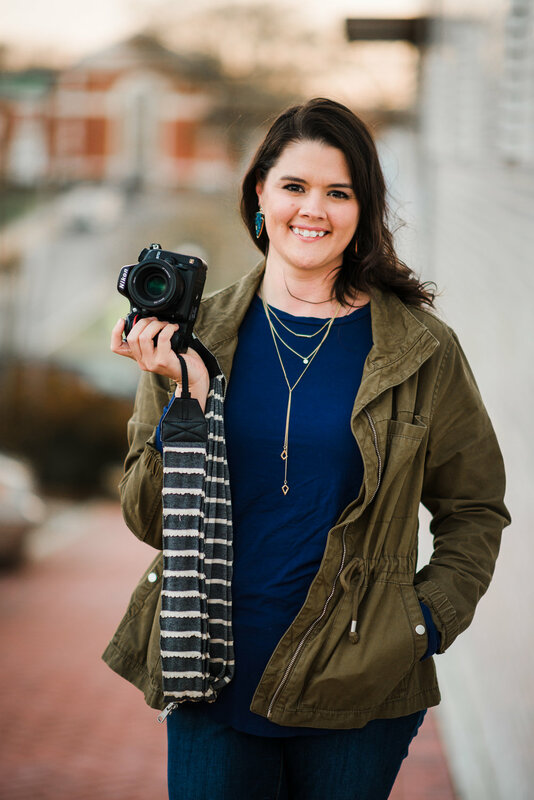 My packages also include a complimentary maternity session in your third trimester. 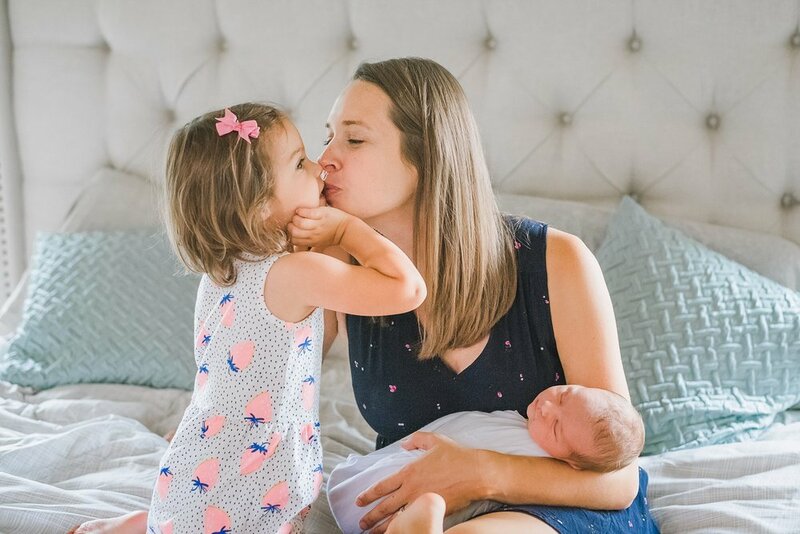 I had such a fun time at this in-home lifestyle newborn session! 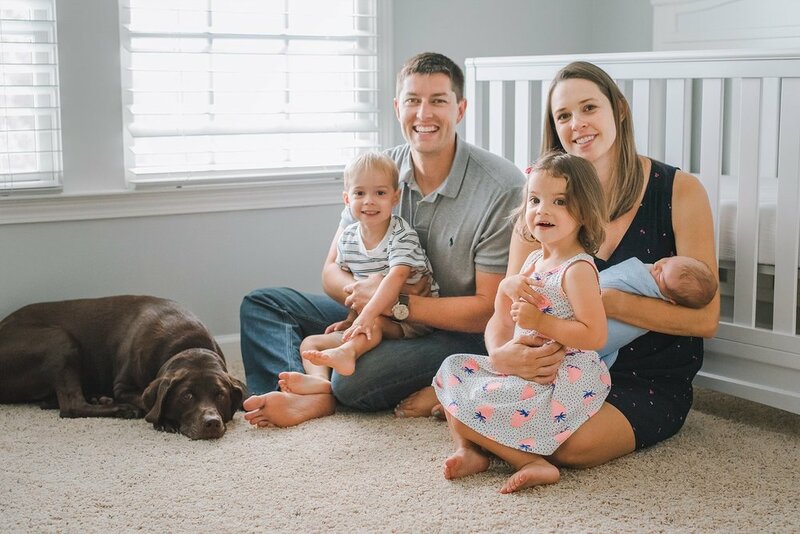 Not only did we get some sweet shots of their new baby boy, but I also got to capture the energy of their 2 year old twins. We had just started the session, but like most sessions, the newborn decided he wanted to eat first. 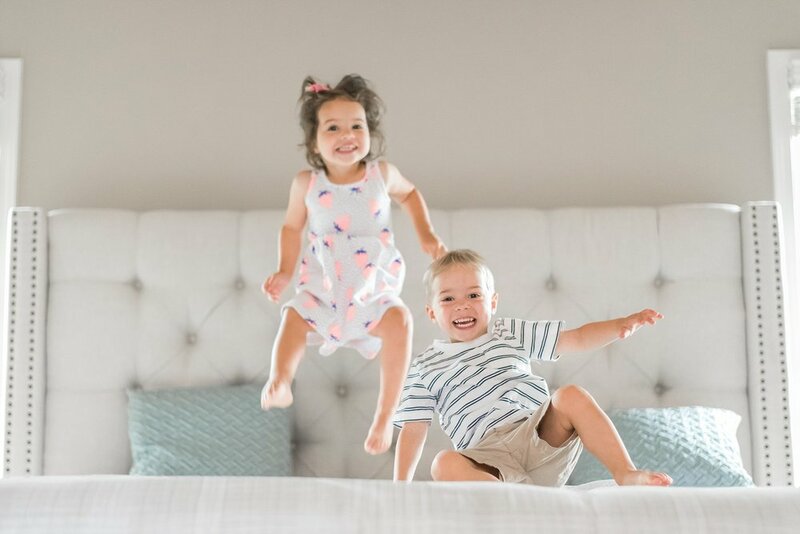 So the twins and I had some fun jumping on the bed. 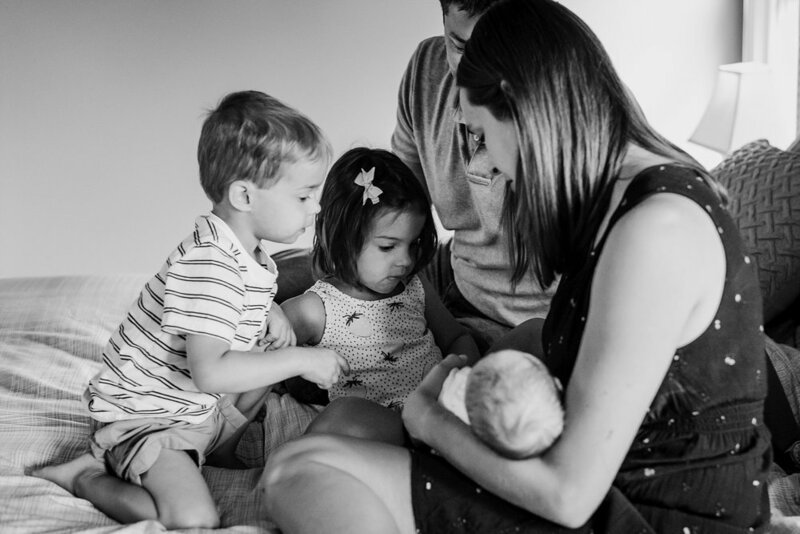 These sessions to me are all about capturing your new family, the connections you share, and the love you have built in your home. 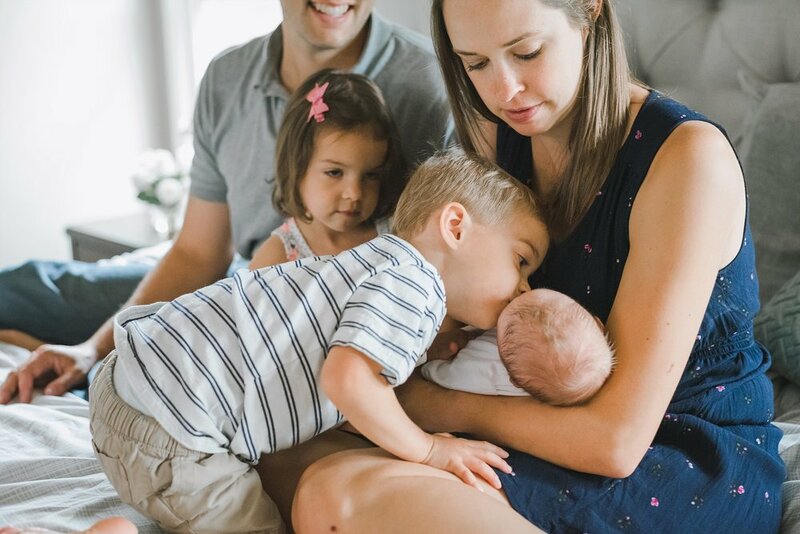 I love getting a few moments with the siblings, and just watching them interact with their new brother or sister. With toddlers those moments are short, but they can be oh so sweet!! Here are a few of my favorite images, probably a bit of an overshare, but I couldn't pick just a few!! If you are expecting and want to book your lifestyle newborn session, contact me at adrienne@adriennelouisephotography.com. 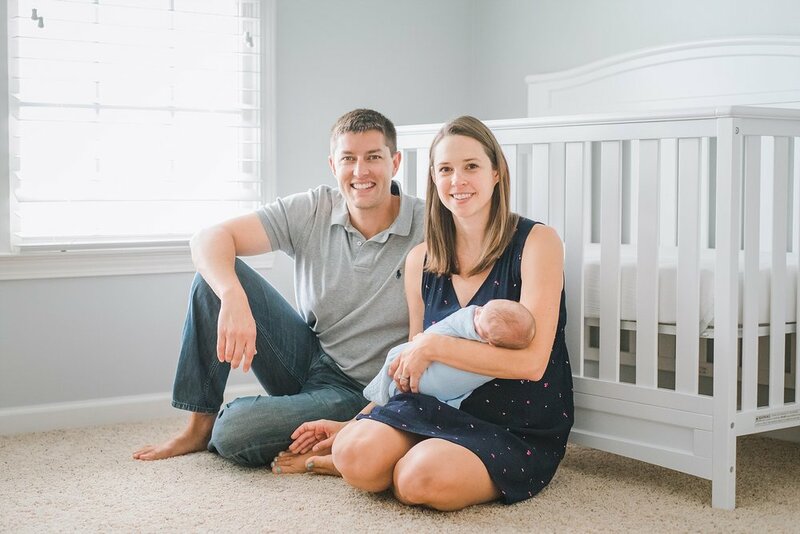 Newborn sessions include a complimentary maternity session in your third trimester! Gift certificates are also available, and make a great gift for expecting parents!